There aren’t too many things I love more than a good breakfast. If given the choice between eating breakfast, lunch or dinner every day for the rest of my life, it’s breakfast all the way — beyond a doubt. 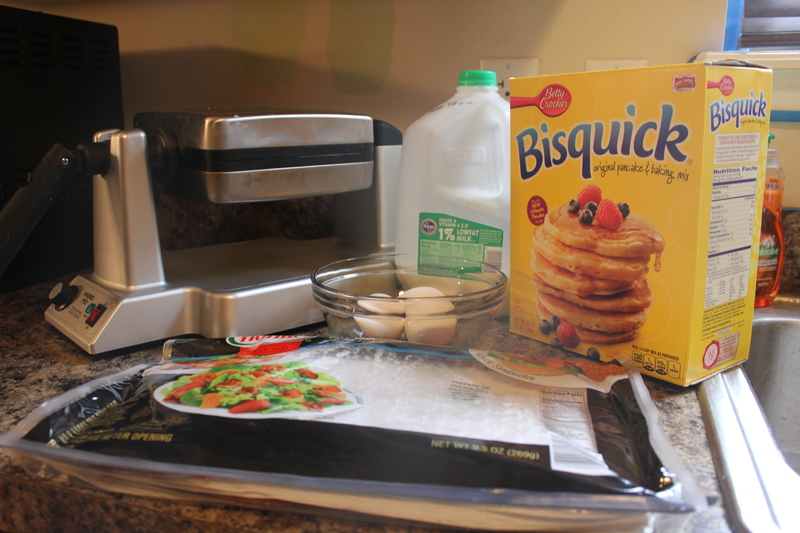 Pancakes, waffles (with real Bisquick), eggs scrambled, over easy, sunnyside up, cinnamon rolls, muffins, toast, bacon, sausage, biscuits and gravy, bagels and cream cheese, doughnuts, syrup, cereal — the list goes on and on. Pour a hot cup of coffee, and I’m set for the rest of the day. So, naturally, when I heard Taco Bell was launching their first breakfast menu today, I knew where my morning would lead. This is surprising to me considering the fact that I am not a fast food breakfast person. I’m not even a fast food person really. I actually had never been to a Taco Bell until Jacob and I went there on our first date. But for some reason or another, seeing Taco Bell’s breakfast promo made my mouth water. A.M. sausage and bacon crunchwrap/tacos, breakfast burritos, cinnabon delights. 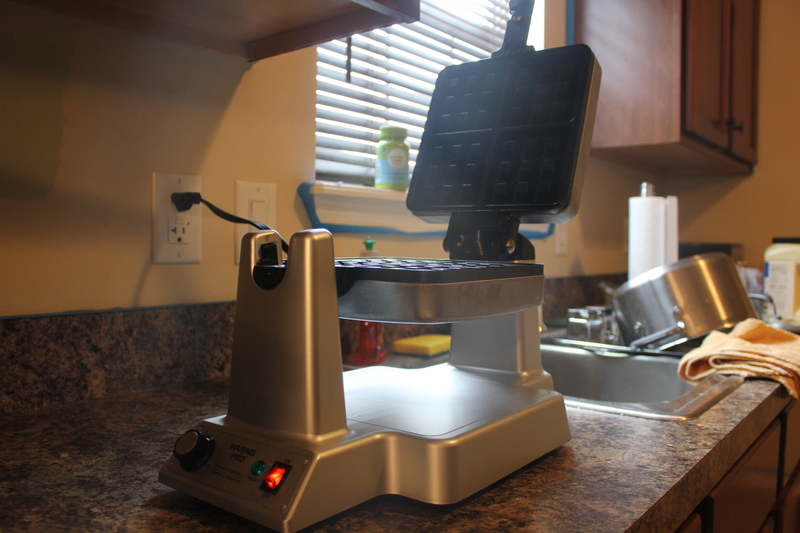 The pièce de résistance, though, has to be the waffle taco. 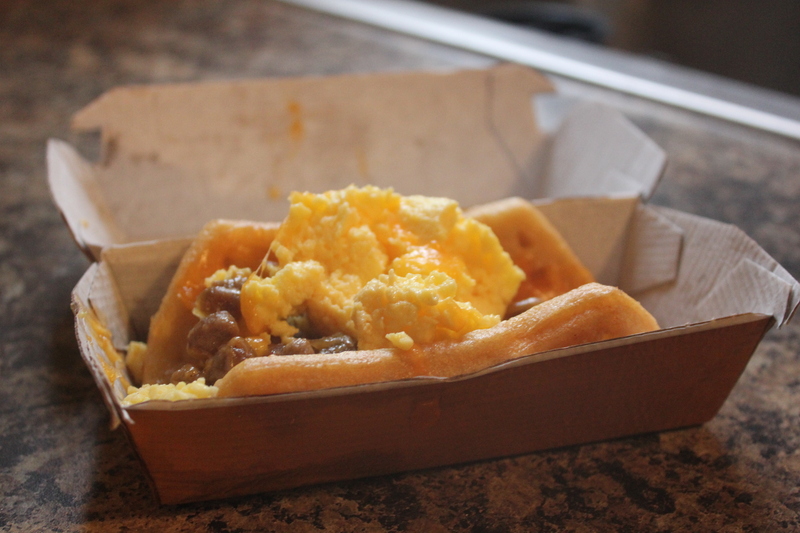 A sausage patty (or bacon) with eggs squished into a waffle shaped like a taco topped with cheese. 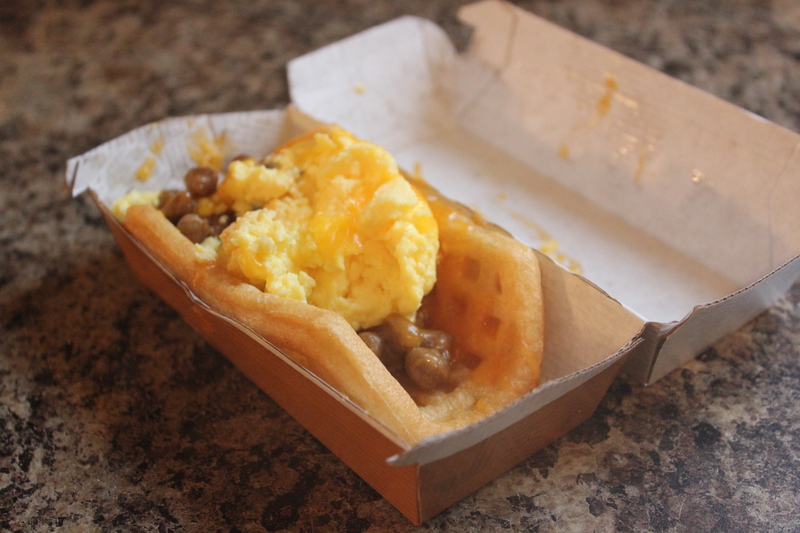 So at 10:30 a.m., I pulled up to drive thru, placed my order to an overly-friendly Taco Bell employee and experienced my first waffle taco. My review? You’ll have to see the end of this post for that. 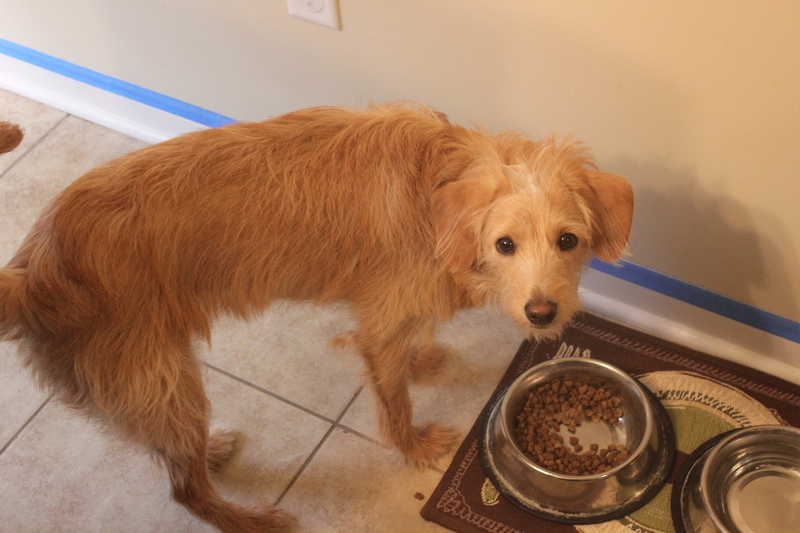 By now, though, you should realize I never focus my blog entirely on the creations of others. 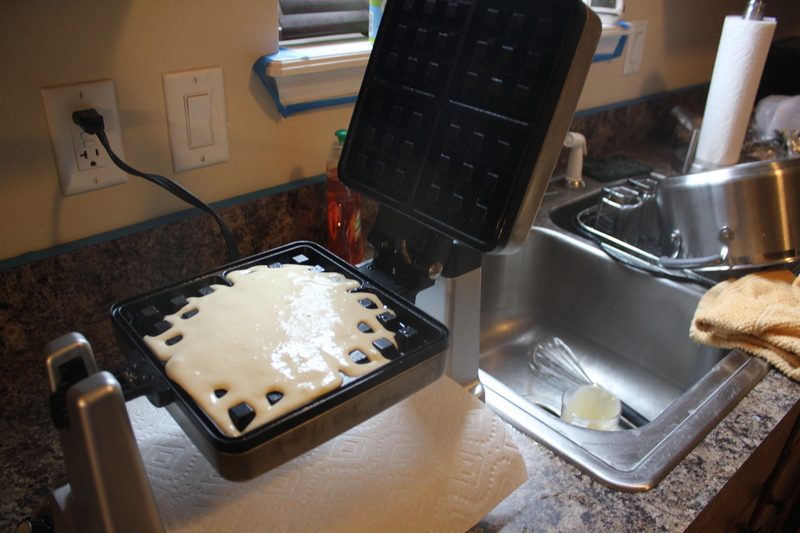 I always like to switch it up a bit so I decided to create my own take on the perfect waffle taco breakfast. 2. The eggs and bacon. 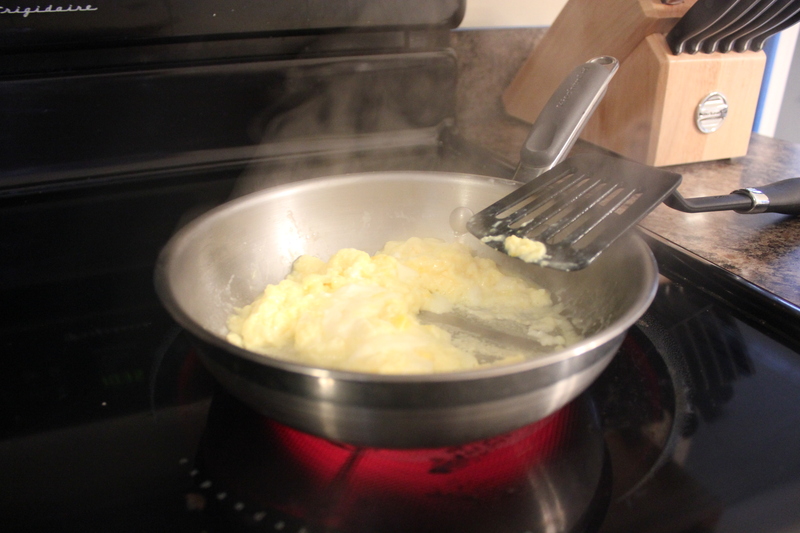 Begin heating a small pan over medium heat on your stovetop, sprayed with non-stick cooking spray if needed. 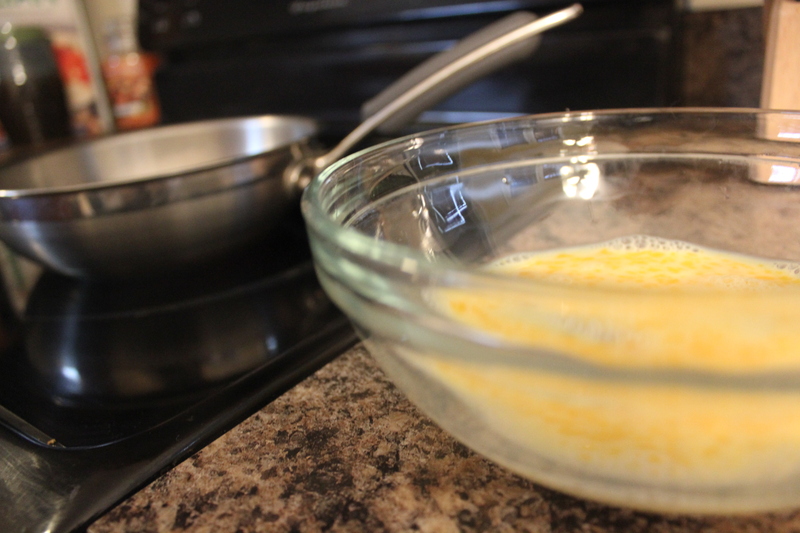 While the pan is warming up, whisk the egg and milk together in a bowl until everything is combined. 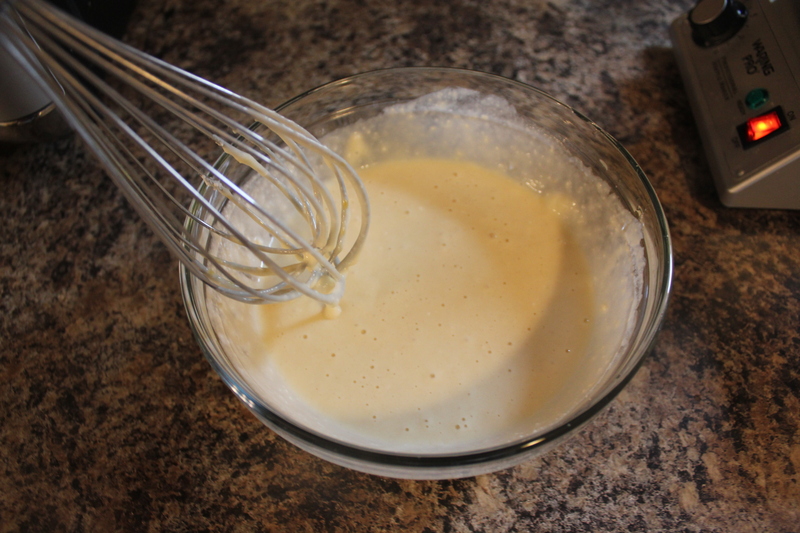 Once the pan is ready, pour the ingredients in and begin mixing the eggs and milk together with a spatula. 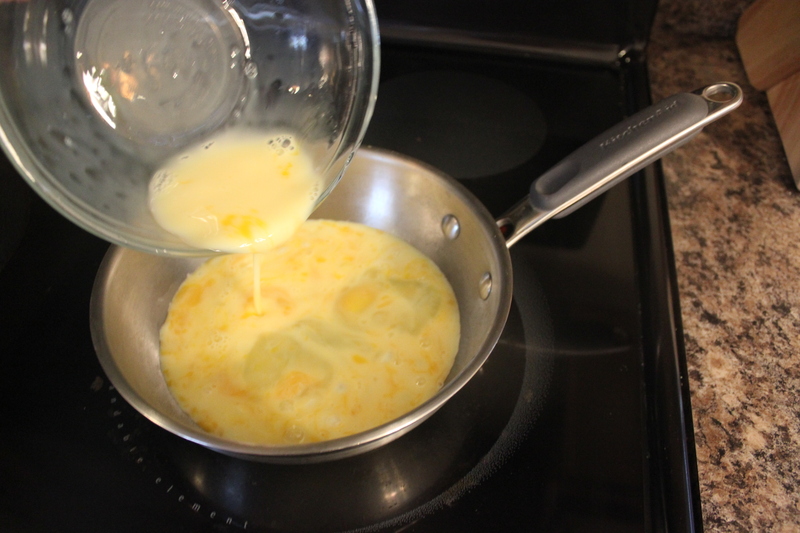 As the mixture begins warming up, the eggs will start to scramble. 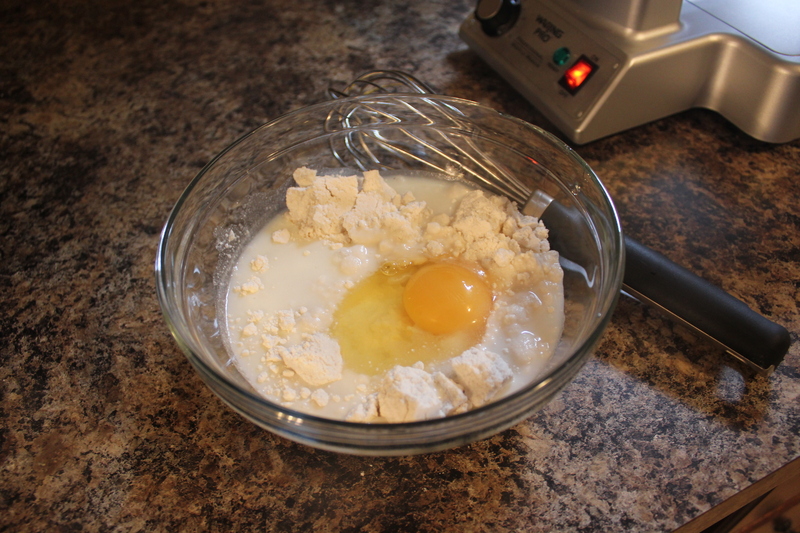 It’s important to constantly mix the eggs together so they don’t stick and you get a nice fluffy texture. 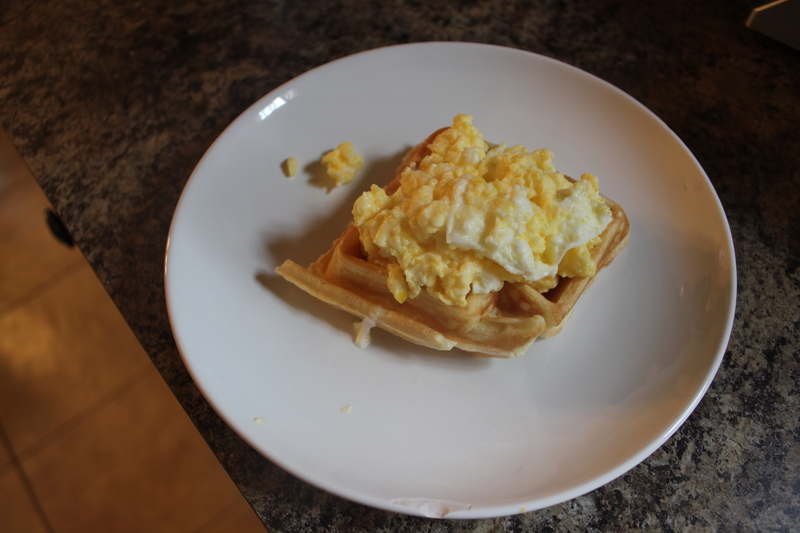 Once the eggs are scrambled to your liking, take them off the heat, place them on a plate and set aside. As for the bacon, cooking it is up to you. We purchased already cooked bacon that only needs to heated up in the microwave. However, you could fry your own bacon in the pan or cook it in the oven depending on your individual preference. 3. Combine together. 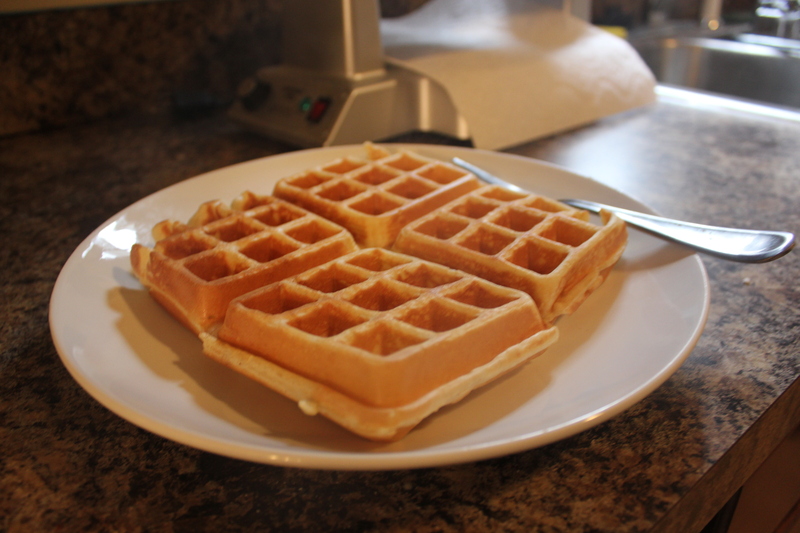 Take one piece of the waffles we made and set at the bottom of a small plate. 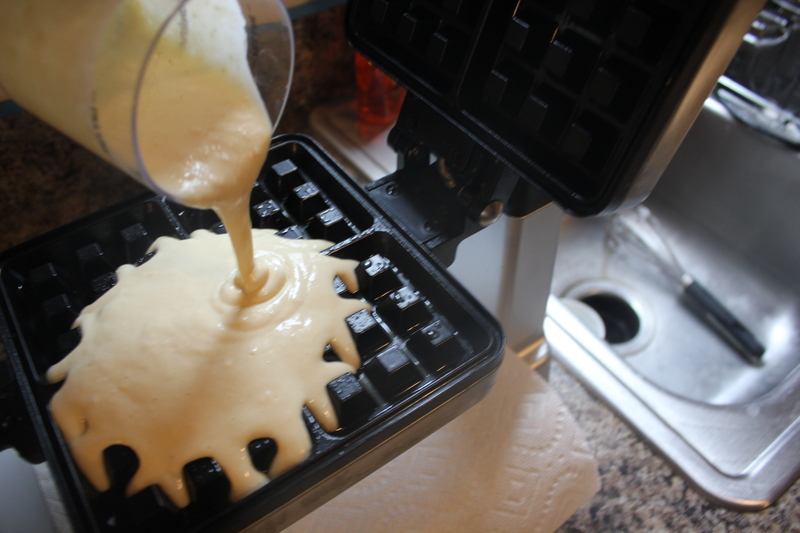 Then, place the egg mixture over the waffle, making sure not to overwhelm the waffle below. Crush up the bacon you made and place it on top of the egg like a garnish. And there you have it. 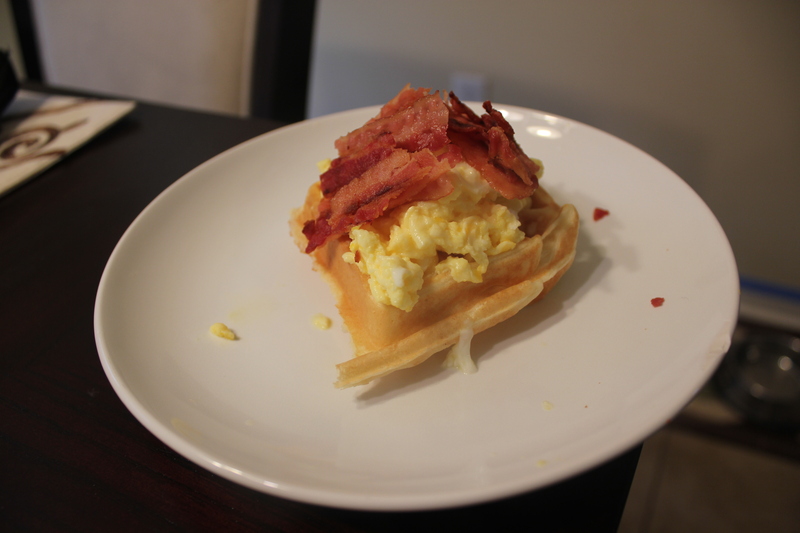 A waffle taco even Winston wishes he could eat. You could also mix up this recipe by adding sausage instead of bacon, topping it with melted cheese and drizzling it with syrup. It’s really up to you. In the end, I promise it will still taste delicious.